Line Stops are a way of stopping flow and providing a temporary shutoff. Line Stops are used to isolate piping systems or sections for repairs, alterations or relocations without shutting the entire system down. This process serves as a control, or temporary shutoff, that can be removed after all modifications have been completed. In many cases the fitting left in place during the service can be used again at a later date for a re-stop. Pro Tapping performs Line Stops from ¾” to 36” on lines with a working pressure up to 1,000 PSI and up to 400°F. Line Stops are generally performed on carbon, stainless and galvanized steel, copper and brass, cast and ductile iron, transite (ACP), polyvinyl chloride, concrete cylinder pipe and additional pipeline materials per customer request. We also offer bolt-on fittings for line stops if you cannot weld. This service may be required if product flow must be continuous while the Line Stop is in place. 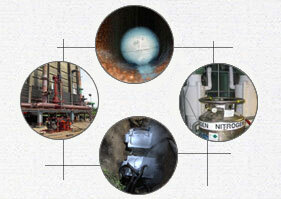 The product flow can be continued around the isolated section of pipe to be modified. This optional By-Pass Tapping can be provided permanently or temporarily.